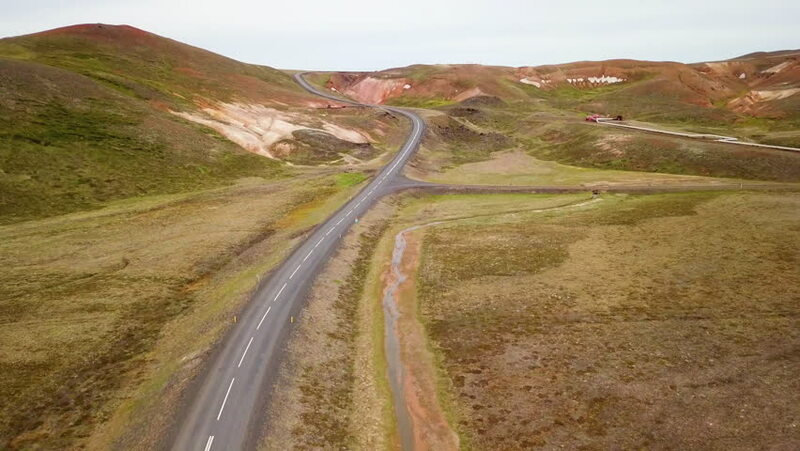 ICELAND - CIRCA 2018 - Aerial of a white car traveling on a lonely road in Iceland. 4k01:00Driving trough West coast of Australia with a campervan. Flying from above and beyond.